Interest in the commons in Belgium is much stronger than I had imagined. At an environmental symposium in Brussels on Friday, the organizers of “The Commons: (Co)managing Commonly Owned Resources,” had to turn away people at the door. It was standing room only in a space meant for 200 people -- and then another 200 people came for an evening talk that I gave at the same location. The draw: a full day of talks and workshops exploring the commons paradigm as a way to reclaim scientific knowledge, our genetic heritage, digital information, and natural resources. 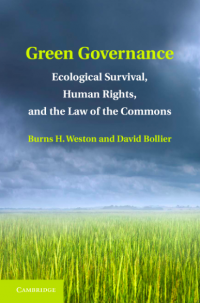 The event – held in a lovely space at the Royal Academy – was co-hosted by the Green European Foundation, a Europe-wide political foundation with links to the Green Party, and two Belgian environmental think tanks, Etopia and Oikos. 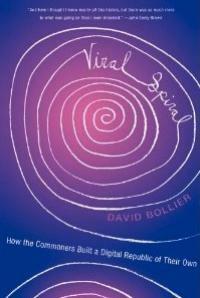 One doesn’t encounter too many historians of the commons, especially European commons. I was therefore pleased to hear Professor Tine de Moor’s brief overview of the commons over the past four hundred years. She hosts a rich repository of historical research about European guilds, cooperatives, waterboards and other commons at the website Institutions for Collective Action. 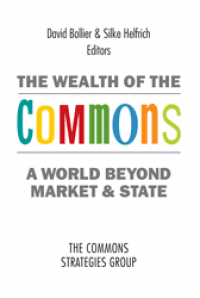 In my short keynote, I explained some of the key reasons why the commons can help confront the pathologies of the neoliberal state and market. 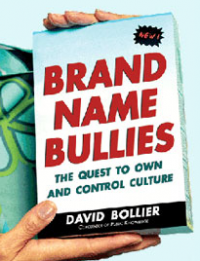 It can help control market externalities that the market/state duopoly refuses to control. It can limit the monetization of resources and confront our addiction to growth, and move us toward a steady-state economy. We can begin to focus on the collective good, and not just individual material gain, and develop a new vision of “development,” not just in marginalized countries but in the industrialized world as well. Finally, commons can begin to blend human culture with ecological management, and so start to reconnect people to nature and to each other. That’s the big picture, as I see it. 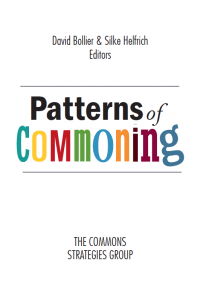 The specific strategies vary from one natural resource commons to another, but there is a definite affinity among the many commons projects and movements out there. The speakers brought the story back home. Maarten Roels, who teaches in the Geography Department at Ghent University, described how a new project called Terre-en-vue that consists of a nonprofit, a coop and a foundation is dealing with the loss and fragmentation of farmland in Belgium through innovative schemes to consolidate different patches of land and work it cooperatively. The project seeks to reverse the loss of 241 hectares and 41 farms each week in Belgium to urbanization and roads. It also seeks to shorten the food supply chain so that farmers can reap more of the benefits from farming and have the ability to experiment and grow. Tom Dedeurwaerdere, a professor at the Centre for the Philosophy of Law, spoke about a type of commons that few of us think about – the microbial commons. Yeast is an organism that is essential to Belgium’s famous beers, and it has historically been shared. But it is now being destroyed indirectly as the diversity of yeasts shrink. Similarly, old varieties of vegetables are threatened as commercial vendors undermine the viability of seed exchanges for “heritage” seeds. A distinct type of pig that was common in medieval Germany nearly disappeared as more commercial types displaced it. It only re-emerged after a pool of farmers deliberately re-bred it and took steps to save its genes by donating them to a commons of several dozen farmers to act as stewards of the genes. Deedeurwaerdere is helping to organize a major knowledge commons conference for September 12-14, 2012, at the Université catholique de Louvain in Louvain-la-Neuve, Belgium. The topic: “Building Institutions for Sustainable Scientific, Cultural and genetic Resources Commons.” This event could well become a regular gathering of scholars of knowledge commons in the future. At least I hope so. Over dinner I had a chance to talk with Philippe Lamberts, a member of the European Parliament and Co-chair of the European Green Party. Lamberts had agreed to be a formal respondent to my talk. Teasingly, he said he hoped that I would provoke him. I did, in an unexpected way. On one of my powerpoint slides, I had listed several prominent “transnational tribes” of commoners, including the Pirate Party. I regard the Pirates as an energetic, imaginative breed of commoners that can boast of affiliates in several dozen countries; electoral victories in Sweden that gave them two seats on the European Parliament; and other electoral victories in various cities and regional governments. They are surging these days, despite a modest agenda, because they have a stinging critique of The System and the need for sweeping change. My inclusion of the Pirate Party – and omission of the Green Party – was apparently enough of a sore point that Lamberts in his public response noted it with dismay. 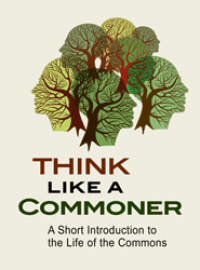 It got me wondering: Could the Pirates and Greens conceivably become friendly rivals in advocating for the commons. An interesting scenario!